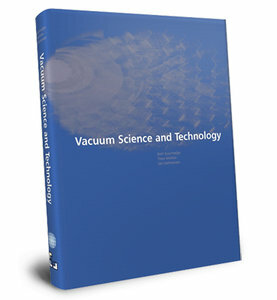 The book ‘Vacuum Science and Technology’ is a brand-new international edition of the Dutch standard work ‘Basisboek Vacuumtechniek’, first published in 2000 by the Dutch Vacuum Society NEVAC. This volume has since proven to be a real “bestseller” on vacuum physics and technology in the Dutch language region. In the new English edition, released by The High Tech Institute and Settels Savenije van Amelsvoort, The Netherlands, the main author Bert Suurmeijer, PhD with co-authors Theo Mulder, BSc and Jan Verhoeven, PhD have included all currently relevant knowledge for everybody who works in vacuum-based research, instrumentation, development, production or business. The book ‘Vacuum Science and Technology’ may indeed be characterized as a new standard reference work covering the complete field of vacuum physics and technology. The setup is modern in the sense that literature references in the book text are missing. This is because the authors consider the internet nowadays as a useful, ever-renewing and expanding source of information. After all, tekst references are currently aging quite quickly (or: faster) and to the author’s opinion will moreover disturb the readability of the book to some extent. Important updates are added on vacuum pumps, pressure measurement, ion sources, gas spectrum analysis, leak detection and cleaning and working discipline. As such the book will be a valuable resource for researchers, engineers, maintenance staff and sales managers alike. Throughout the volume, both basic physics and present day technology receive ample attention. The book ‘Vacuum Science and Technology’ is not only an excellent reference work but also useful as a flexible text book with a unique graded structure. Text meant for high graduates is placed behind margin lines. Omitting this text gives a textbook for middle graduates. Both with and without the margin texts the volume shows the desired internal coherence for the associated training level. Exercises are included in two degrees of difficulty. The clear layout makes the book perfectly suitable for (combined) higher as well as secondary level training. The book is written by three Dutch specialists in vacuum physics and technology and former lecturers in this field. They all three are honorary members of the Dutch Vacuum Society NEVAC. Educators, students and course participants will experience the book as a balanced synthesis of ‘in-depth’ vacuum physics and modern practice. Hartelijk dank voor uw review! Deze review wordt pas geplaatst na goedkeuring door een beheerder. Wanneer de review is goedgekeurd, verschijnt hij op deze pagina. ‘Vacuum Science and Technology’ is an indispensable resource for scientists and engineers concerned with vacuum physics and technology. The book comprehensively covers all the relevant topics in the modern vacuum field. Throughout the volume, the emphasis is on simultaneously the basic physics which underlies present day technology, and on the practical application. The book will enable the reader to understand the problems associated with vacuum system design, pressure measurement, leak detection, etc. It will also make the reader familiar with the tools available on the market. Three introductory chapters deal with kinetic gas theory, gas laws, gas-surface interaction and flow phenomena. In this way the reader is prepared for the substantial middle part of the book which describes vacuum pumps and pumping systems, the gauging and gas analysis by which vacua are measured, characterized and controlled. To my opinion, chapter 6 with a clear explanation of the new Anharmonic Resonant Trap Mass Spectrometer (ARTMS) and an excellent section dealing with the analysis of a true residual gas spectrum with a unique way of argumentation deserve all the praise. These chapters are followed by descriptions of vacuum valves and components, from which complete systems are made and naturally lead to the consideration of system design. Obviously, the vacuum law of Ohm is present. Chapters on leak detection, cleaning and safety concerns and various appendices bring the book to the end. As a reference book for the subject it serves its purpose well, providing all the information needed to make decisions in designing and maintaining simple vacuum systems. Relevant topics for practical problems are easy to find. As a textbook it is set up in a graded structure: a veritable find. I never saw such a simple solution with margin lines to distinguish between texts for the high and medium graduated reader. And both with and without margin texts the book is equally well legible. As it were two books in one. The book style is clear, uncluttered and easy to read. Students, engineers and researchers entering the area will find this book an excellent introduction to modern vacuum physics and current practice. In terms of vacuum physics, the book goes beyond exclusively vacuum and explains all related physics backgrounds. A ‘must-have’ for all working with vacuum. AWK 13-3-2017 - Published in EuroPhysicsNews 48/4 (2017), magazine of the European Physical Society EPS. Writing any text book must be a huge undertaking, but one on the subject of Vacuum Science and Technology has unique challenges. These include the enormous breadth of Vacuum; its dynamic range and associated principles within this, a continually evolving range of applications and their impact on the requirements for future generations of vacuum equipment and systems. The authors have produced an important contemporary book on the subject of vacuum which will be a valuable addition to the resources of students, educators, theorists and practitioners alike. The concepts and materials are accessible to all from those with high school diploma to those in academia. This is complemented by clear first principles derivations, for example in the early sections on kinetic theory and adsorption mechanisms (a theme which runs through all sections of the book). The treatment of flow is impressive, however this would be enhanced with a section on transmission probabilities for molecular flow. Pump mechanisms and their operational principles are comprehensively reviewed. A table (akin to that included for pressure gauges) summarising pump mechanisms, range of operation, typical applications and positive/negative features would have been useful. The chapters on pressure measurement are probably the most clear and detailed I have seen published. Similarly the leak-detection chapter comprehensively covers theory and practical methods. The level of treatment given to sealing techniques and other components is deserved. However, as many processes and applications in vacuum rely fundamentally on mass flow control, more detail on these would have been a very useful addition. The calculated examples are useful and the exercises are generally well constructed and relevant but in some cases ‘worked solutions’ would be helpful. Some of the black and white diagrams would be clearer with higher resolution e.g. cryopumps, ion sources and valves. In the absence of references more examples of specific applications and a bibliography and directed reading resources are needed. The English language translation is excellent, though there are a few minor typos (e.g. ‘lucht’ not ‘air’ in equation 3.120 p 151). A mistake though in the translation which does need correcting is the use of the word ‘blocked’ (first in section 3.7) – the correct term in this context is ‘choked’. AC 14th February 2017 - Published in NEVACblad 55/3 (2017), magazine of the Dutch Vacuum Society NEVAC.